Dog Days hotel offers a home away from home for your dog. Your dog will feel comfortable and relaxed in their own private dog suite with all of their favorite things! Bring their bed, toys, treats and whatever else will make them feel like they are at home. Dog Days has suites for all sizes of dogs and even suites big enough for two dogs from the same family. A typical day for hotel guests consists of wake up at 6am for outdoor potty break followed by breakfast in their suite. After an hour rest to digest, your pup will be out for play time all morning. At lunch time, boarding dogs will get a nap. After nap time, your pup will be out for more play time until dinner is served. Dogs eat dinner around 6pm and after an hour of digestion, your pup will get a potty break and some more play time. Bed time is 8:30 pm. 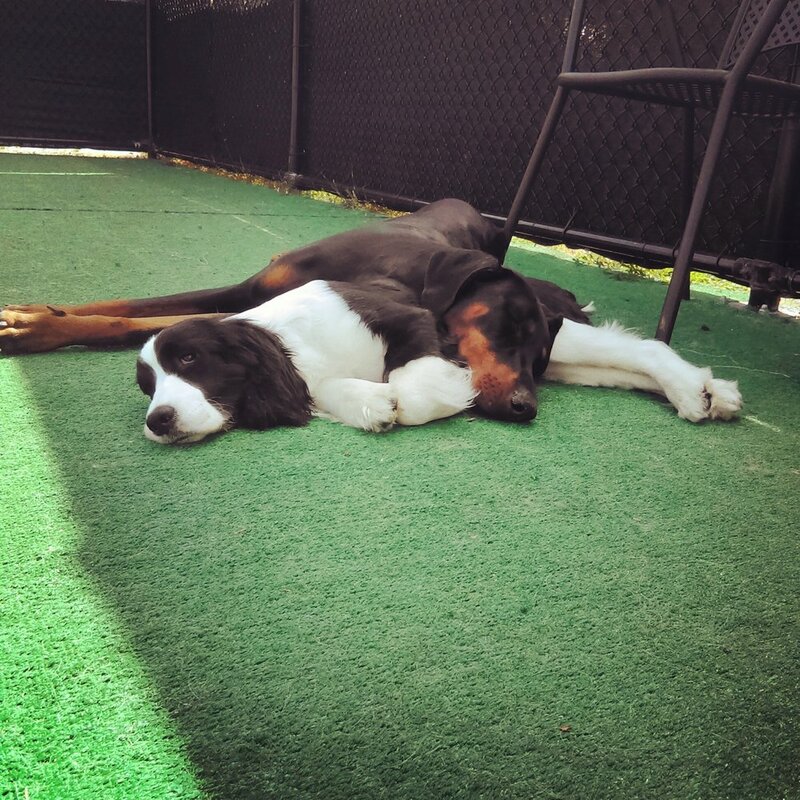 Your dog will sleep well after a full day of play in our playrooms and outdoor dog park! All dogs must be social and pass a temperament evaluation before staying in the hotel. To schedule a temperament evaluation, please call 503 894-9950. Please have your vet email or fax a copy of your dog's vaccination records to us or bring a copy to the temperament evaluation. Need more information? Contact us using the link below or feel free to call. **Boarding reservations must be cancelled at least 24 hours before arrival day and time to avoid a cancellation fee of $42. **Dog Days has extended stay hotel prices. Call us for details.